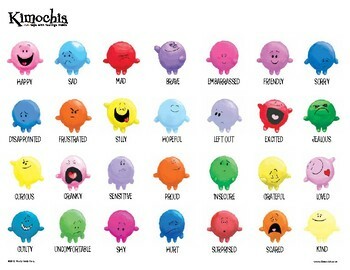 Printable Kimochis feeling chart. Do your kids know there are more than just three feelings (happy, mad, sad)? Print this and use it in many different ways. Post it outside your classroom. Use it for a daily check in. Make two copies and play a matching game! Tell us how you use your Kimochis feeling chart!